I love chocolate chip cookies. In fact if my last dessert on this earth was a warm chocolate chip cookie with a cold glass of milk, I would die happy. 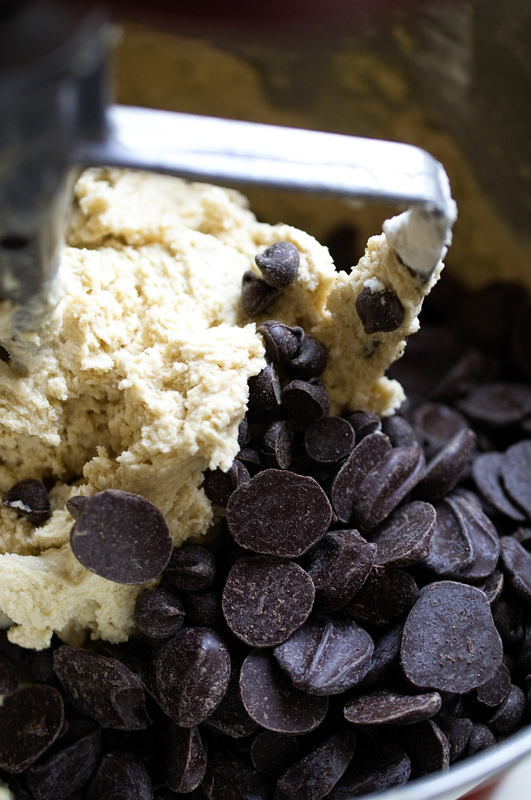 When I come across a new recipe for the “best chocolate chip cookie ever” I usually try it. 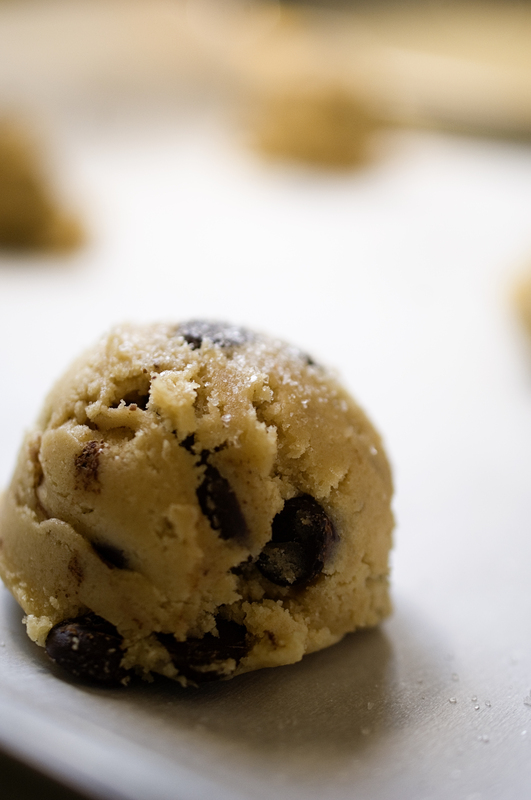 All across Pinterest, the New York Times Chocolate Chip Cookie recipe keeps popping up. I read the recipe a couple of times and thought about trying it but pushed it aside mainly because the dough needs to rest for 24-72 hours. I am not a patient woman, especially when it comes to cookies. A couple of days ago the recipe appeared on the blog Tidy Mom. I felt oddly patient that day and very curious to see if this is indeed the best chocolate chip cookie ever. It is. 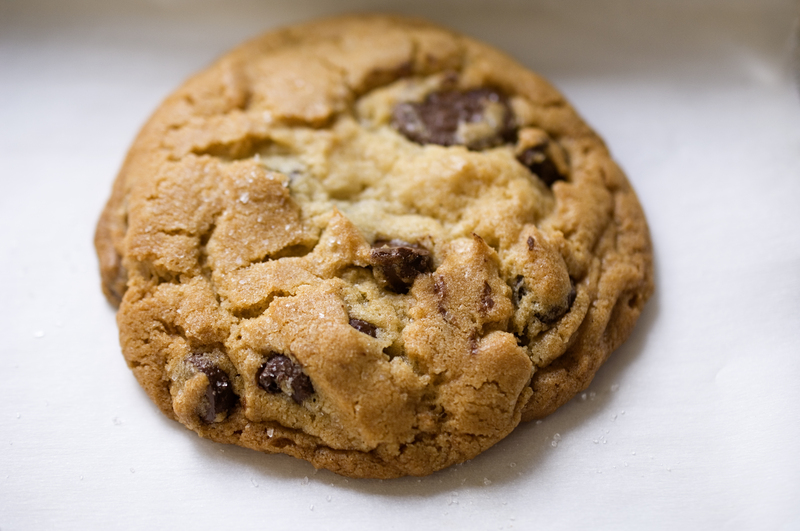 The outer cookie has a nice crispness and the addition of the sea salt sprinkled on top of the cookie before it bakes highlights the sweetness of the chocolate. It was almost too much happiness for my taste buds to handle at once but then I got to the middle where the chocolate melts and the crumb is soft and I felt ecstatic. If you don’t have cake and bread flour already, go out now and buy it. If you don’t have sea salt; get it. It requires a lot of chocolate but it is so worth it! 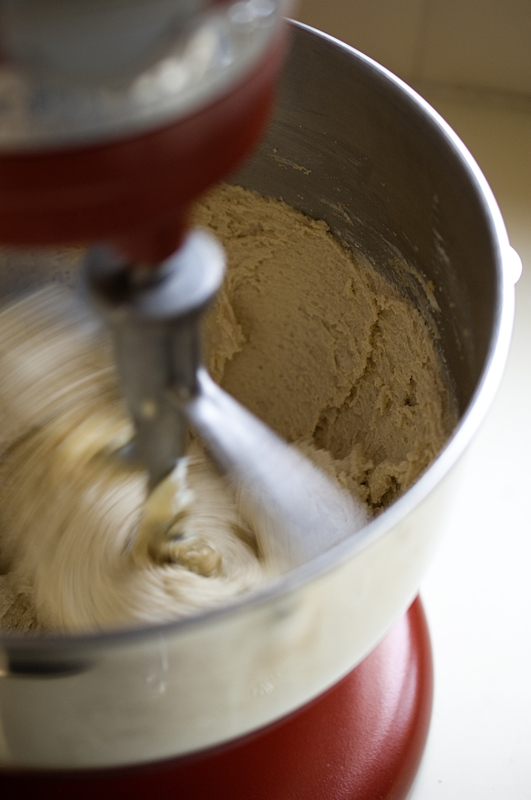 Set aside time for the dough to rest. Be patient. It is worth the wait. 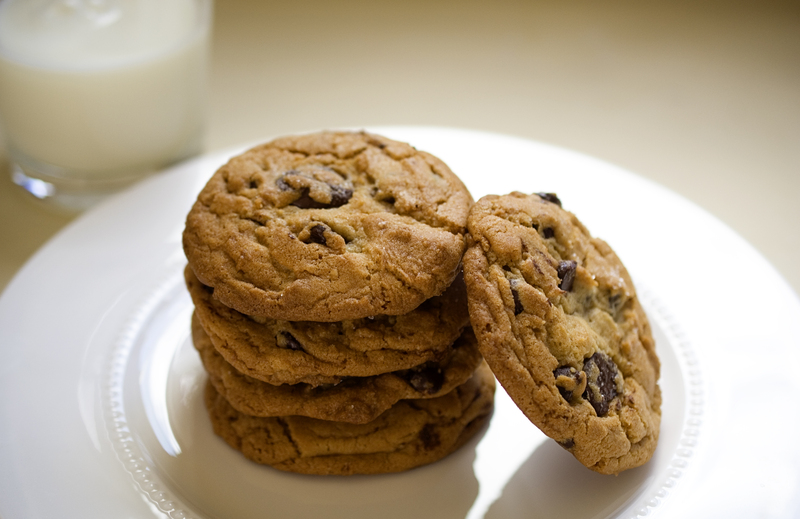 Once you bake the cookies and they have cooled a bit share with the people you love with a cold glass of milk. Sit back and smile. Be sure to cream the butter and sugars for about 5 minutes, scrapping down the bowl once or twice. I used a combination of Guittard’s super melt chips and dark chocolate chips. The super melts are large and flat and melt nicely into any cookie, brownie or blondie. I used an ice cream scoop to get consistent golf ball sized cookies. Be sure to sprinkle sea salt on the cookie before they bake. The cookies should bake for about 15 minutes or until golden brown. Sift together flours, baking soda, baking powder and salt into a medium bowl and set aside. Using a stand mixer fitted with a paddle attachment, cream butter and sugars until very light and fluffy, about 5 minutes. Scrape down the bowl once or twice while creaming the butter and sugar mixture. Add your eggs, one at a time, mixing thoroughly after each addition. Add vanilla. Reduce speed to low and add your dry ingredients. Mix until just combined. Fold in chocolate. Place dough in an air tight container with plastic wrap pressed against the surface, and refrigerate for at least 24 hours but up to 72 hours. After the dough has rested for 24-72 hours, pre heat your oven to 350. Line a baking sheet with parchment paper. Scoop out golf ball size rounds of dough. I used an ice cream scoop for this part. Sprinkle cookies with sea salt and bake until golden brown, about 15-18 minutes. Transfer entire cookie sheet to wire rack and allow to cool for about 10 minutes and then place on wire rack to cool a for little longer. Enjoy the cookie warm with a glass of cold milk. This entry was posted in cookies, Sweets and tagged best chocolate chip cookie, best cookie, chocolate chip cookie, cookies, kid friendly. Bookmark the permalink.